Infant and boys dress shoes. 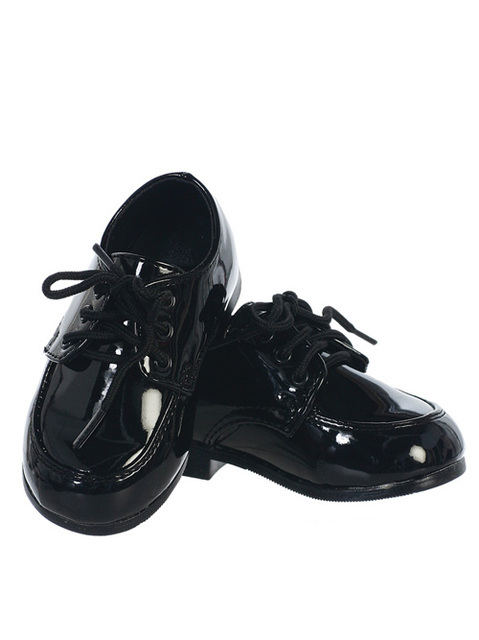 Boys formal dress shoe in a patent finish. Offered in white, ivory, or black. The perfect finishing touch to any formal outfit. Starting from infant sizes and up through a bigger boys size 4. Boys dress socks and other formal accessories also available. See Children Accessories. 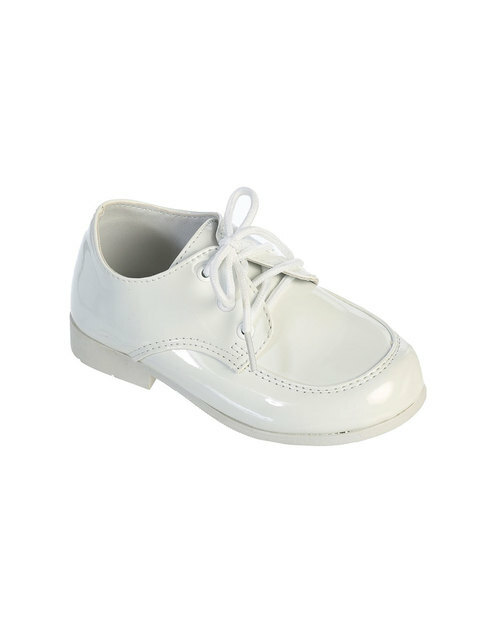 Colors: Ivory boys dress shoes, ivory dress shoes. White boys dress shoes, black boys dress shoes.